It's a free couch for the taking. 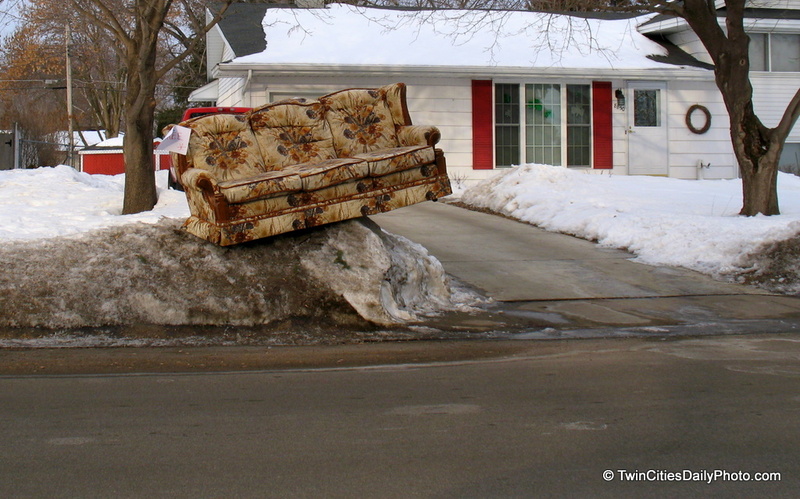 I've gotta say, I've never seen a couch thrown up, high on a snow bank with a "free" sign attached to it before. It really stood out to me and thankfully I had my camera by my side.